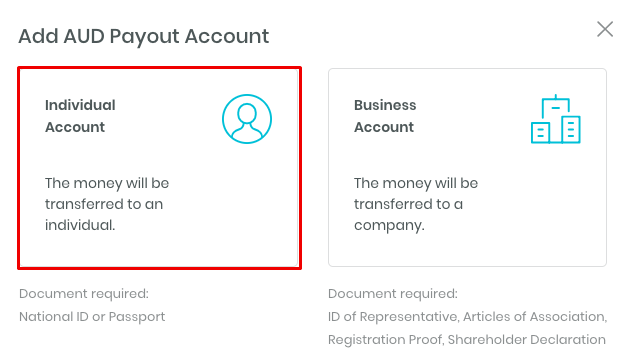 You need to enter your payout details in order to transfer your collected funds. This article will first explain how to do payouts to your own personal account. Then, we discuss how to do payouts to a company, to a third party in Australia, and internationally. Please note that AUD payouts cost 5 AUD per transfer. 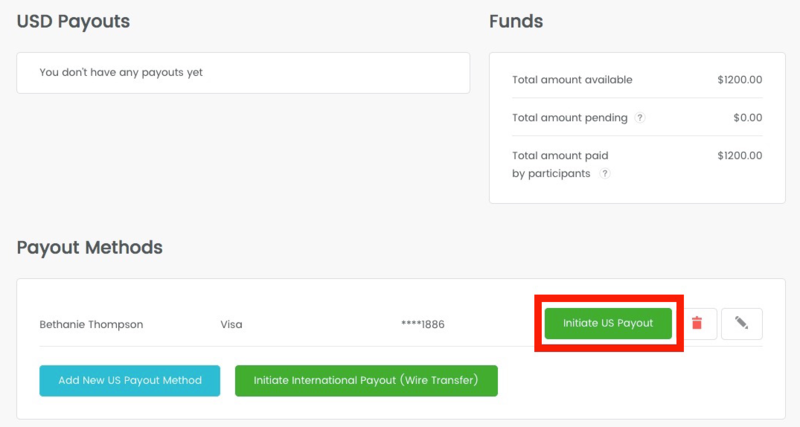 Go to the payout page by clicking on your name in the upper right corner and selecting "Payouts". Select AUD Payouts from the left-hand side selection. 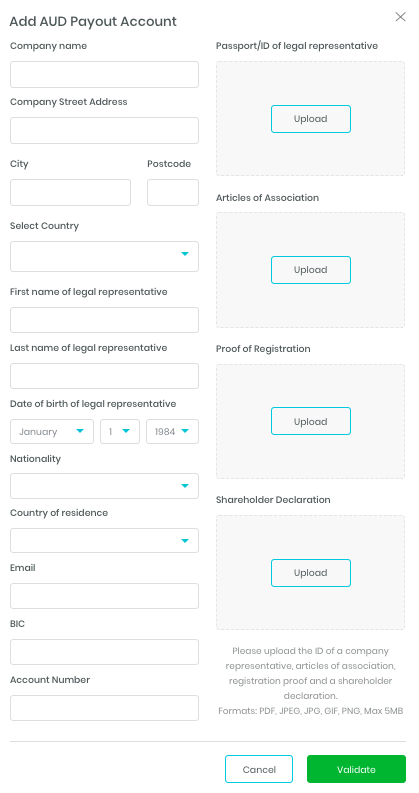 After clicking Validate, your information will be sent to our payment provider Mangopay. Your documents will be verified in 1-2 business days. After that you can initiate a payout (5 AUD per payout). 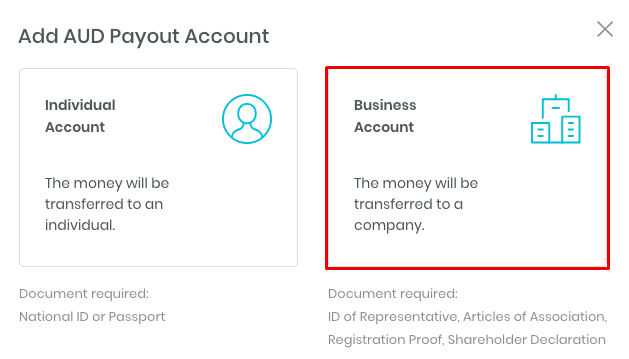 Payouts take 1-2 business days to arrive at the destination bank account. 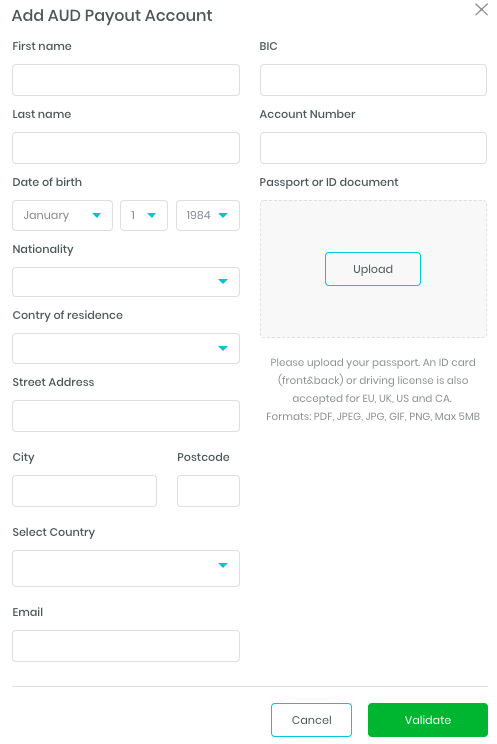 You can register and transfer funds to any Australian bank account, even a third party. However, keep in mind that you need to enter the same information and documents as paying the funds to your own account. To discuss other ways to make payouts to third parties in Australia, please get in touch with us. Click here for USD, here for GBP, here for EUR, here for ZAR, and here for CAD payouts.